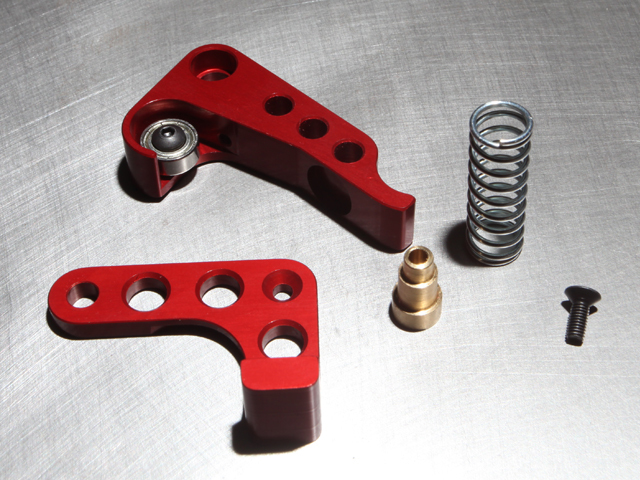 We have manufactured a small batch of extruder upgrades that are work with the Makerbot Replicator 2 3D printer. They are made from anodized (red!) 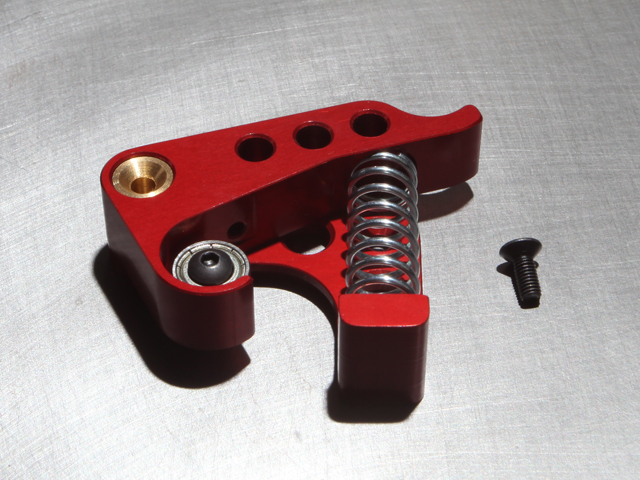 6061 aluminum and have a brass pivot pin. They come with the bearing pre-installed, a 3x8mm countersunk screw, and a spring. You just need to reuse one of the long screws that came with your original plunger with the brass pivot pin. This design is derived from whpthomas's design posted on Thingaverse. We asked his permission and he told us to go for it, so we did! This upgrade kit will NOT work with the 2X. We are not associated with Makerbot Industries in any way and claim no ownership of their intellectual property. If you have any questions about this product, please contact us here. This part looks and functions great! Are you still making or shipping these pieces? I have a Replicator 1 and very interested in buying one.